Senate Bill 57, a bill decriminalizing industrial hemp cultivation and permitting possession of CBD oil derived from hemp was unanimously passed by the Senate on March 28 and moves now to the House for consideration. 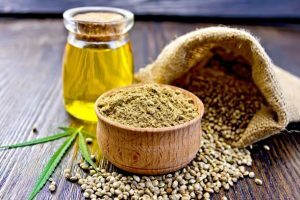 Under the new law, the Ohio Department of Agriculture will issue hemp cultivation and hemp processing licenses allowing hemp to be grown and processed in Ohio. Previously the State Board of Pharmacy promulgated a rule that the increasingly popular cannabidiol or CBD made from hemp, can only be sold in medical marijuana dispensaries as a controlled substance. However, Senate Bill 57 amends Ohio Revised Code section 3719.41 to provide that “the [State Board of Pharmacy] shall not adopt rules including hemp or a hemp product in a schedule as a controlled substance”. The bill provides that hemp products include “cosmetics, personal care products, dietary supplements or food intended for animal or human consumption, cloth, cordage, fiber, fuel, paint, paper, particleboard, and any other product containing one or more cannabinoids derived from hemp, including cannabidiol”. As laws change, we’ll keep you up to date. If you have any questions, please contact Gerald McDonald via email at gmcdonald@pselaw.com or call 937-223-1130.